The mission of Hands4Uganda is to make a positive difference in the lives of the children and youth of Uganda by assisting them in achieving their highest potential through a faith-based education. As they grow and learn we aim to instill responsibility, compassion, and love, while providing ongoing economic and spiritual support. Tomanya - Lugandan for “You never know”- but God does. It was with this theme in mind that the Africa 2010 team made its way to Uganda, Africa. Not knowing exactly what to expect, anticipation and a little nervousness was evident on each of the jet lagged faces as the team landed at the Entebbe airport and made its way to Jinja, the second largest city in the country of Uganda. It was then that the adventure began. 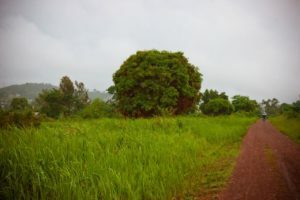 Throughout the three weeks of outreach spent in the “Pearl of Africa” the team learned that Uganda isn’t just a place of geographical beauty lush in natural resources. It's a country overflowing with amazing people who genuinely love and live each day with a joy most have forgotten. While in Uganda, the Africa 2010 team did a variety of outreaches including medical physicals for over 120 people, minor medical treatments and procedures, as well as teaching/maintenance at two schools (one of them, Rock of Ages). As a result of the Africa 2010 outreach, Hands4Uganda was established to expand opportunities and enhance the quality of life for Ugandan children, specifically in the village of Mbiko. Betty Wasswa was born to a family near Mbiko and was given the gift of an education. She made it through college, receiving her degree in Higher Education. She soon realized her dream of returning to her home village, which is known for prostitution, and helping the children she knew would have no hope for receiving an education. She attended YWAM (Youth With A Mission) and received early childhood education training, making it possible for her to obtain her teaching credentials. Betty was led to start Rock of Ages School (ROA) because most of the children living in Mbiko are either without parents, their mothers are prostitutes, and/or their family has been overcome by crippling poverty. Betty embraced the great importance and urgency for the children of Mbiko to attend school and decided to offer a free education to as many as she could. Using the little money she and her husband had, she rented a small building and opened the unofficial school. In 2010, when we first met Betty, she had nearly 50 students attending ROA. She explained to us with such passion, how she one day hoped to have an official school that could provide hundreds of children with the hope of a better future. She knew that education was the key to changing her village. It was because of this encounter that Hands4Uganda was established and recognized as an official 501c3 nearly a year later. Betty is a phenomenal woman. She loves her students as if they are her own. She believes in them and that alone can do miracles in the life of a child who has no hope and often no support system. She believes that a free education brings hope to these children and gives them the opportunity to someday escape the stronghold of poverty that leads to so much despair within their village. In order to best support the students at Rock of Ages, Hands4Uganda established a sponsorship program to cover the cost for these children to attend school. Each sponsorship is a tax deductible, charitable contribution of $30 per month or $360 per year. If you are interested in bringing hope and a future to a child in Mbiko, please prayerfully consider the opportunity to sponsor a child today (click here to see students in need of a sponsor). "What will you do, now that you know?" On Karla’s first mission outreach to Uganda in 2010, she learned what extreme poverty means to the people who live it daily. That experience awoke in her a desire and a passion to serve the poor and marginalized as commanded by Jesus in Matthew 25:40. Before retiring and devoting her time to Hands4Uganda, Karla spent thirty-two years working in research and development in the semiconductor industry. She was employed for 28 of those years at IBM, developing state of the art Computer-Aided-Design software and managing teams of engineers. Later she was hired as a World-Wide Director of CAD at AMI Semiconductor, directing teams across Europe, US and India. Her long career developed her leadership skills, boosted her problem solving and business competence, gained her project management proficiency, raised her sensitivity to cultural differences, and provided her an in-depth knowledge of how to design and successfully deploy software. Those skills would prove useful to an organization dedicated to serving people half way around the world. Armed with her faith and career expertise, she joined a group of passionate and compassionate folks shortly after her initial trip to Uganda to help start Hands4Uganda. Her education background includes a degree in Mathematics from University of Maine and raising three kids with her husband of 41 years. Syd is currently employed at Purdue University at the Asian American and Asian Resource and Cultural Center in Lafayette IN. 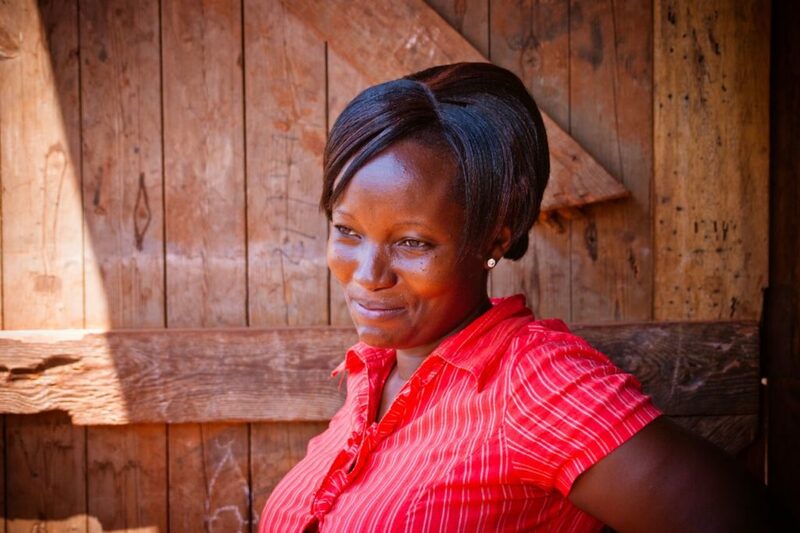 Her love for Uganda began in 2008 when she traveled to Jinja to serve with Next Generations Ministries. It was there that she met and fell in love with the work Betty Wasswa was doing at Rock of Ages School in Mbiko. From that point, Syd was determined to do something more to help the school grow from 11 kids. She started a sponsorship program, enlisting friends and family to sponsor a child. In 2010 Syd took her "dream team" to Uganda. It was this team that caught the vision and incorporated the sponsorship program into a developing nonprofit organization, Hands4Uganda. The story of Rock of Ages partnering with Hands4Uganda is one covered in love, commitment, devotion and above all else the hand of God! God gave Syd a promise that is being fulfilled daily: "Build a school, teach a child! Teach a child, change a village! Change a village, impact a nation!" Kim became involved with Hands4Uganda (H4U) because of her love for helping others and through her stepdaughter, Ariane. She was an integral part of the foundation of Hands4Uganda, not only establishing the organization as an official nonprofit through the tedious paperwork required to set up an organization, but also helping to shape H4U into what it is today. Kim and her husband Michael enjoy fishing, playing ball with their two dogs, gardening, and working on DIY projects. Kim is currently a Recruiting Specialist for Embassy Management where she works to fill positions for Aspire Human Services and SL Start which provides care for developmentally and/or mentally challenged children and adults. Kim believes that life is about stepping-stones. That one thing always leads to another and it's the journey that's important. It’s about what is learned along the way. In Kim’s words, "I want to do good. There are different meanings for that. Mine is: do all you can, as often as you can, for as many as you can, for as long as you can." Randy is married to Keri Lu and has two married daughters, three grandchildren and a couple of awesome son-in-laws. He is an Emergency Physician and has a heart for medical missions. He and his family have served together in Ecuador and Uganda. Randy has been to Honduras and most recently to Kenya with Samaritans Purse, staffing the Emergency Department in one of the largest mission hospitals in Africa. He enjoys everything about the outdoors: hiking, biking, snowshoeing, telemarking, snowboarding, water skiing, scuba diving, swimming, golfing, sailing, you get the idea. Randy feels blessed with his life, wonderful family and profession. It is a joy for Randy to be able to participate on the Board of Hands4Uganda, which allows him the opportunity to share God's love with the students, families and community of Mbiko, Uganda. He would like to say a special, "Thank you", to all who have sponsored a child at Rock of Ages School. Your faithfulness has made a huge impact on the lives of those children. Gabe Flicker first went to Rock of Ages School (ROA) in 2010. As the Executive Director of Grace Lutheran School he and five faculty members along with 19 others from Pocatello went to Uganda. From that trip and the dream of Ariane Drake to start Hands4Uganda it all began. Betty Wasswa, the founder and leader of ROA, came to Gabe's school in Pocatello, Idaho in 2009 to serve as an intern. Everyone fell in love with her and later in love with ROA. Gabe has been an educator in the Lutheran system for 43 years and recently retired. He was honored to be a National Distinguished Principal and the Principal of a National Blue Ribbon School of Excellence, the two highest honors given by the U.S. Department of Education. Gabe, along with his wife, enjoys tandem cycling and cross-country skiing. They have three grown children. You can often find him behind a camera. In his bio photo, he is teaching young single moms in Guatemala how to use cameras. Prior to that visit these moms had never taken pictures of their babies. Ariane graduated from Westminster College, SLC, UT in 2016 with a B.S. in Public Health. She plans to pursue a graduate program for a Master’s of Physician Assistant Studies with the hopes of providing healthcare to some of the most vulnerable populations at home and abroad. Ariane has always had a heart for international aid, holding her first fundraiser at the age of 10 for those affected by the Indian Ocean Tsunami of 2004. Upon her return from the Africa Mission Trip in 2010, she struggled deeply with her "comfortable life" having seen, first hand, the effects of true poverty. Believing that we each must be the change that we wish to see in the world, she decided to organize a group of other passionate individuals to help start what she saw as a grassroots movement- to fulfill the dream of a local Mbikoin who desperately wanted to be the change in her village by educating the children of Mbiko. Ariane proudly served on the Board of Directors for Hands4Uganda for seven years and recently assumed the position of Program Development Manager. In her free time Ariane enjoys trail running, skiing, working with plants, and playing with her puppy, Tikka. Do you have further questions about sponsoring a child or making a donation? Would you like to share H4U with your church group? Are you looking for other ways to be involved in our organization? Contact us and we will do our best to help you!